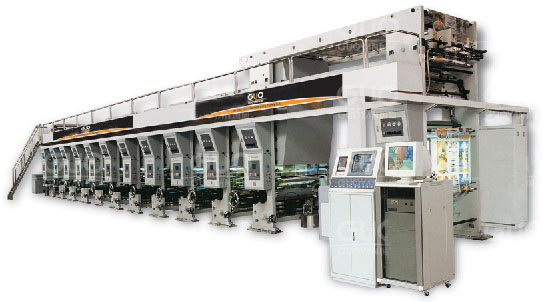 Pimpex Plastic, China supplies 10 Colors Plastic Bags Printing Machine. Buyer should send 1~2 engineers to Seller's factory for training around one week before delivery. This printing machine is suitable for printing OPP film, CPP film, PE film, PVC film, others soft materials films, and even paper rolls, aluminum foils, etc. Please refer to attached photo. 1. With computer automatic chromatically contents-checking system for precise chromatography. 2. Automatically rectify deviations/errors with computer rectifying control system. 3. Adopt magnetic powder arrester, magnetic powder clutch, moment motor, constant tensility control. 4. Adopt air expansion shaft as materials collecting and discharging shaft for convenient loading and unloading operations.